The UC Davis Family Protection and Legal Assistance Clinic (FPC) provides free civil legal assistance to victims of intimate partner violence and sexual assault. First opened in 1999, the FPC has represented hundreds of low-income victims in Yolo County and helped clients obtain restraining orders, financial support, and child custody. FPC further provides holistic legal advice and advocacy to victims on a wide array of legal areas impacted by abuse, including housing, employment, campus adjudicatory hearings, victims’ compensation, and criminal matters. FPC provides an exciting opportunity for law students to learn to be lawyers by representing clients in all aspects of their cases. Certified through the California Bar Practical Training of Law Students program (PTLS), enrolled students conduct client interviews, develop case strategy, collect evidence, prepare witnesses for court, negotiate with opposing parties and counsel, and represent clients in hearings and evidentiary trials. In addition, FPC students provide court forms assistance and information about the court process to petitioners representing themselves through a free weekly workshop on Friday mornings at the Yolo County Family Self-Help Center. FPC is a year-long clinic open to 2Ls and 3Ls. Students must be available for orientation the weekend before the academic year begins, mandatory class seminars listed on the course schedule, weekly supervisory meetings, scheduled hearings, and at least one Friday per month for the courthouse workshop. 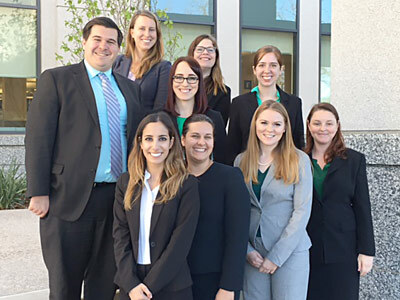 Students must complete the certification process through the California Bar the summer before clinic orientation, which includes a mandatory fee. Interested students should attend the all-clinic presentation and submit their application before the stated deadline.